My FT-DX 3000 now has a little brother. The new Yaesu FT-891 has finally arrived after a long wait over the holiday season. 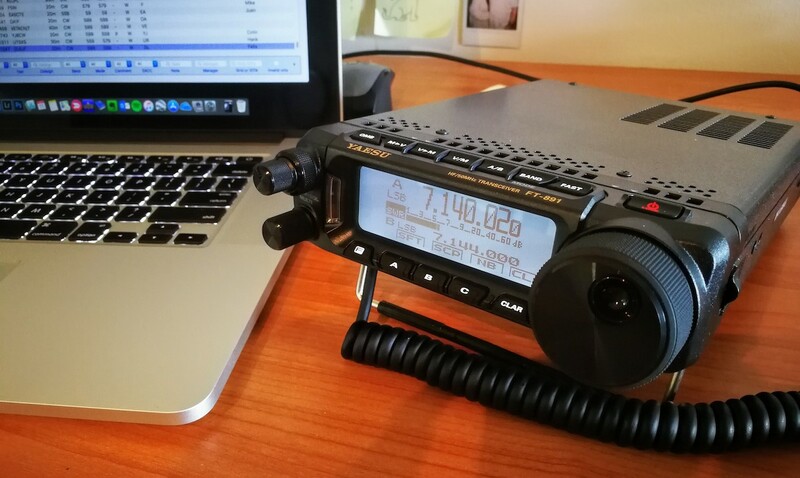 The radio is really tiny and so light, when it was delivered today I wasn’t sure if it was the radio or the MFJ tuner that I have also ordered. It turned out to be the radio. I don’t know why but I was expecting it to be somewhat bigger, probably because FT DX 3000 is so big and FT-891 looks like a mid-size book next to it. I guess it will take a few days to get used to it. I had a quick play with it but since I don’t have any antennas here at home it will have to wait for the weekend to have it’s premiere on air from one of the WWFF listed parks here around Brisbane. Today all I could do is throw 10m piece of wire from the 4th floor balcony and listen a bit. The DNR seems to be impressive, even comparing to my FT-DX 3000.